Our registered Shetland Sheep have given an even greater dimension to the fiber end of our "Cottage Industry". 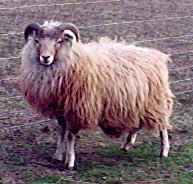 Shetlands are a bit of a rarity in the sheep world given the fact that the fleece variations in the breed are so vast. Shetland fleeces can be short and crimpy, long and flowing (rather more like llama fleeces) and everything in between. 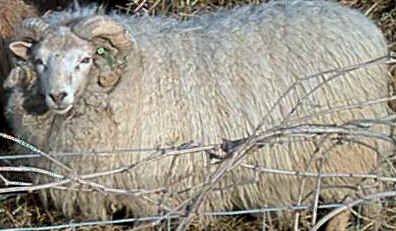 Our specialty is very fine fleeces and a majority of our breeding stock reflect that standard. And, the colors are breathtaking! Beautiful Emskets (bluish-grey), rich Moorits (reddish-brown), Greys, Browns, Black, Fawn and many other colors and markings make up the Shetland palette (see our "shetland wool" page). The soft fleeces are light in lanolin (great for those with sensitive skin) and it mixes beautifully with llama fiber creating some unique colors and textures for hand spinning. As we began to appreciate the wonderful fiber these animals create we began to purchase our own equipment to process the fleeces. However, given time constraints on our farm, we now allow a fiber mill to process some of our fleeces into fine wool roving that we have available for sale as well as many beautiful raw "in the grease" fleeces. *Our Registered Olde English "Babydoll" Sheep are the newest miniature sheep addition to our farm. 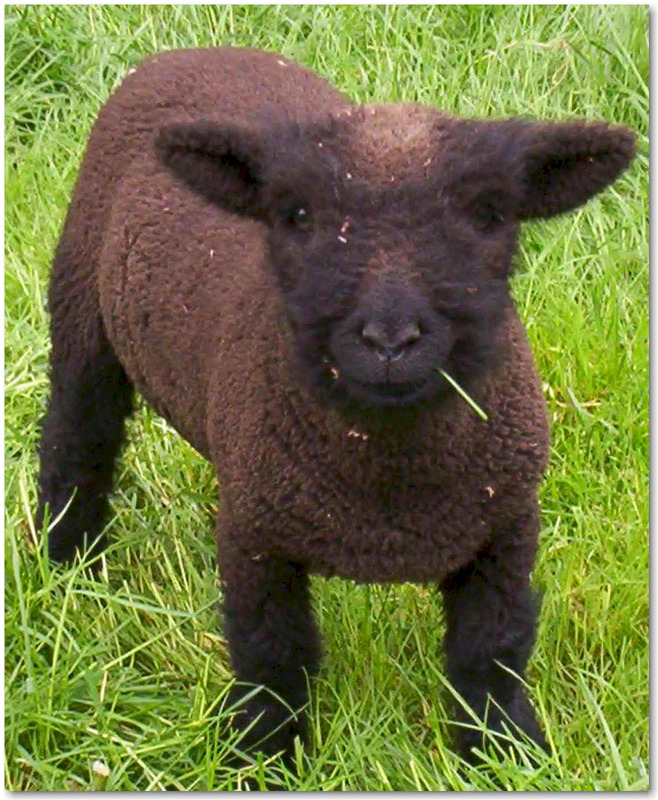 Babydolls, also considered a rare breed like the Shetlands, come in 2 colors--black (brown) and white. Wool staple for this breed is typically 1 1/2-2" and it is likened to cashmere. Because of its shorter staple length, "Babydoll" Wool is more difficult to process at home. However, it does blend well with Llama, Alpaca, Shetland and other Wool and, though is has a higher lanolin content than Shetland Wool, is quite a luxurious wool in its own right. *An article featuring our Babydolls & how to make a Needle Felted Purse from their wool appeared in the Winter 2005 issue of Spin-Off Magazine.